You are here: Home / NEWS / Actuality / Grandma gets a face lift — from Cabana Séguin! 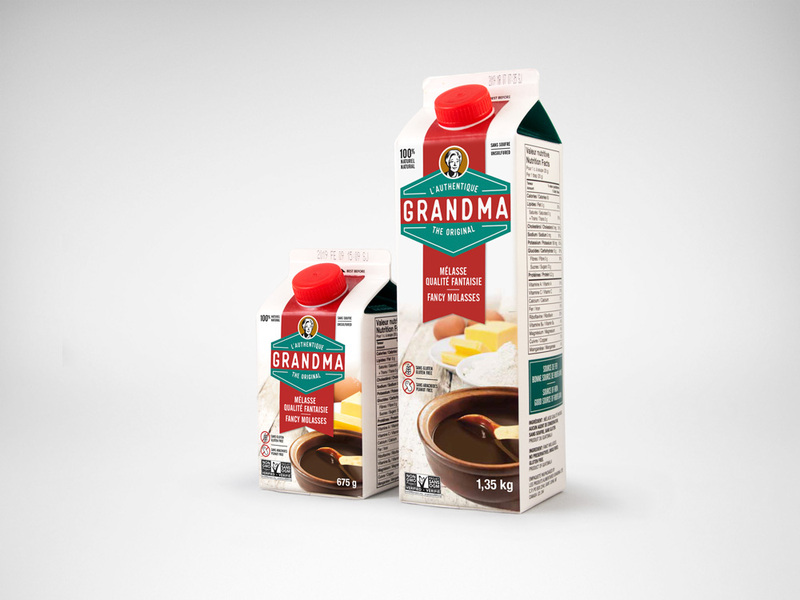 CABANA SÉGUIN COMPLETES THE REDESIGN OF THE BRAND IMAGE AND PRODUCT PACKAGING FOR GRANDMA MOLASSES. When consumers look for molasses, Grandma’s smiling face, integrated onto a red, white and green package, comes to mind. The brand’s strong equity in Québec, coupled with it being a 100% natural product – thus a premium substitute for sugar – was at the heart of the brand design strategy. The logo was rejuvenated with care, particularly the cameo illustrating the grandma we all know so well! 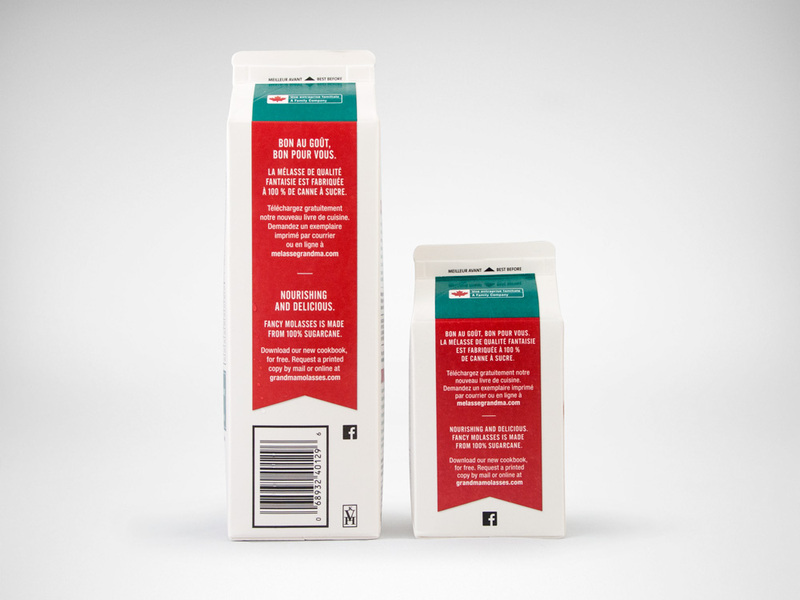 On the packaging, the focus highlighted the “health” attributes for consumers, especially young families who want to eat well. We introduced the product as a basic ingredient in cooking – just like butter or eggs; molasses is no longer just associated with pastry. The Cabana Séguin team was delighted to direct this brand’s revitalisation and to contribute to the success of a product that has been an integral part of Quebecers’ lives for over a century!